The RMS Titanic Research and Recovery Expedition recovered the Titanic whistles in 1993. Our nondestructive examination group was asked to evaluate the whistles’ condition to determine if they could be blown again without causing damage. Due to the historical value of these whistles, a nondestructive examination was essential. Radiography was determined as the method best suited to safely analyze the whistle. 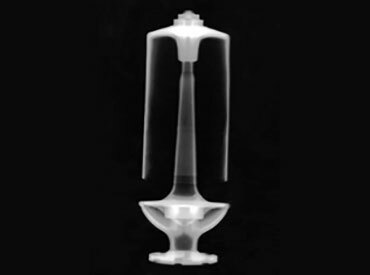 A Cobalt 60 isotope was successfully used to determine the whistles’ internal configuration and integrity. Based on our NDE services (including radiography, internal borescope examinations and ultrasonic examination), we determined the internal configuration and construction, provided an evaluation of the whistles’ internal conditions and determined that it would be safe to blow them again. In 1999, in front of an estimated crowd of 100,000 people in St. Paul, the whistles were blown once more.